Do you have questions about VoIP and whether it is right for your business? First, what is VoIP? Voice over Internet Protocol (VoIP) is a group of technologies for the delivery of multimedia and voice communications over the internet (like faxes, voice, voice messaging and SMS ). This may sound complicated…fear not. 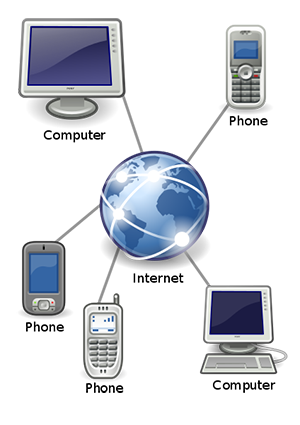 Basically, VoIP enables you to have phone service through the internet instead of through your local phone company. But why make the switch? Think about it like this, your company is always growing and you want a phone system that will grow with you. It also allows you to keep your numbers and gives you direct dial numbers for each of your users. You also have access to a free Smart-Phone app that makes it easy to answer calls while you’re away from the office. VoIP gives you local and domestic long distance calling. You get the same features you would through the phone company, plus more functionality and usually at a lower price.